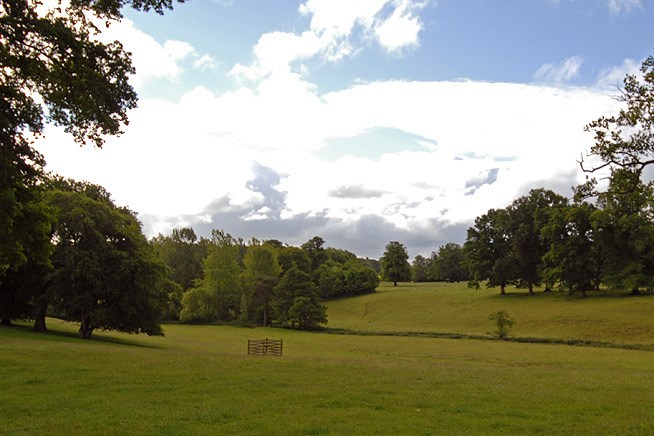 Hutton is surrounded by beautiful gardens and grounds. 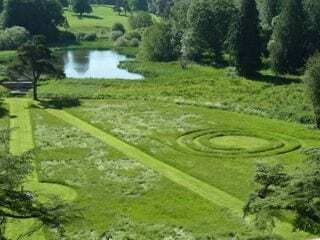 It is known that there were elaborate gardens around the house from the late 17th century. They have evolved since that time but the basic elements can still be seen and are a wonderful background to the plants and flowers. The Kip engraving shows an enclosed Dutch garden to the north of the Gallery. In its present form the garden owes much to Henry Vane Fletcher. He walled in two sides in the 1730s to encourage fruit trees. 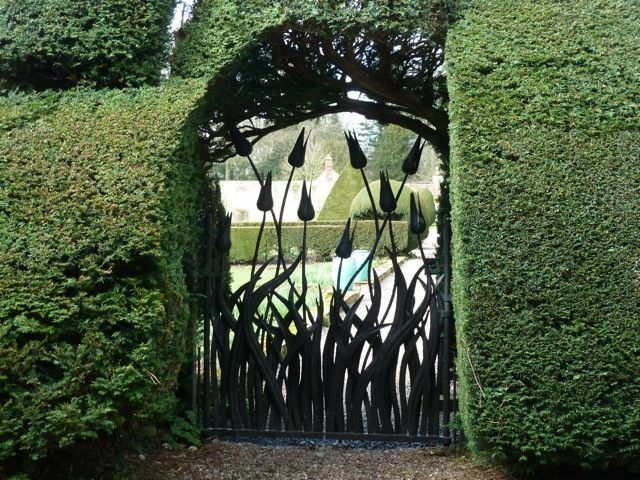 The other two sides are bounded by yew hedges planted by Lady Vane over a century ago. 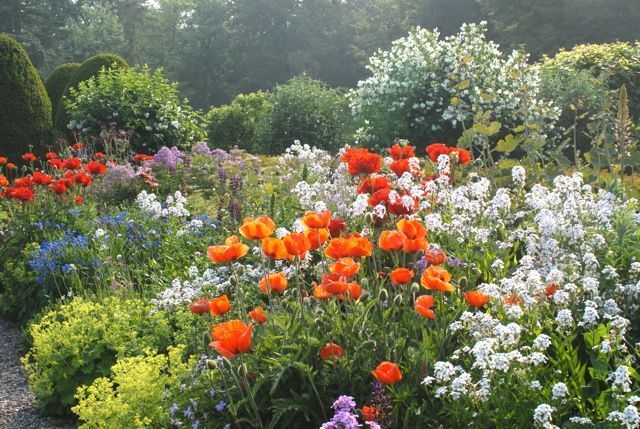 It is now a spectacular flower garden with beds and borders of spring bulbs, herbaceous and annual flowers, set against the dramatic backdrop of the house and trees. Fine terraces to the South and West of the house act as a plinth for the massive strength of the architecture and were considerably restored in the 19th Century. 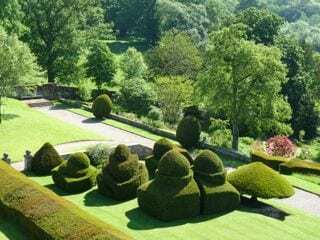 Lady Vane was responsible for much of the topiary dating from the 1890s, reflecting the revival of interest in topiary. A formal rhododendron garden known as The Low Garden was laid out in the 1870s. 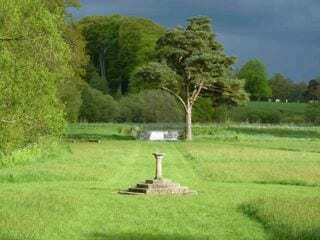 It had become very overgrown and an exciting new project is underway to open up the 18th Century view to the cascade, lake and William Sawrey Gilpin’s early 19th Century planting. The rhododendrons have been cleared and a wild-flower meadow planted, but there is still a lot of work to do. The house is bounded on its South and West by a beck. Advantage was taken of the running water to create three ponds with cascades of which the oldest and largest, the Middle Pond, dates from the mid 18th century. It was originally stocked with fish for the table. 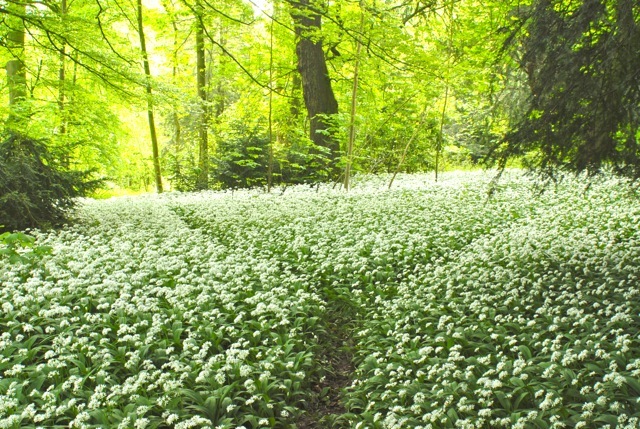 A Woodland Walk is laid out through the woods to the north and west of the house. 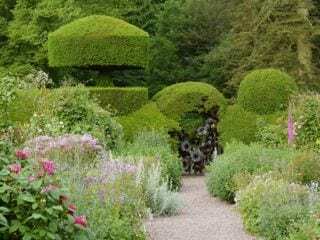 They contain a mixture of mature hardwoods, more than 200 years old and sadly coming to the end of their lives, ‘American’ conifers over a hundred years old, and more recent planting by the present Lord Inglewood and his father. 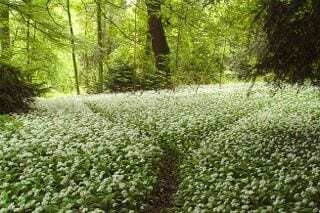 These mixed aged woods were intended to recreate the effect of the medieval forest of Inglewood and are the habitat of all kinds of wildlife, including the now rare red squirrel, roe deer and many species of bird. 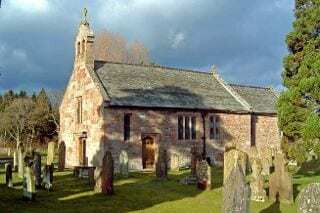 Hutton is set on the edge of its Park, which extends eastward towards the Pennines and is divided by the Penrith road. At one time there were deer in the Park but they have long gone, as has the cricket pitch that was abandoned in 1914 upon news of the outbreak of World War I. During World War II the Park was an airbase with a wartime airstrip. Guided Walks with the Hutton game keeper are organised regularly and the Park is host to various events, including Potfest, a Plant and Food Fair and International Horse Trials. 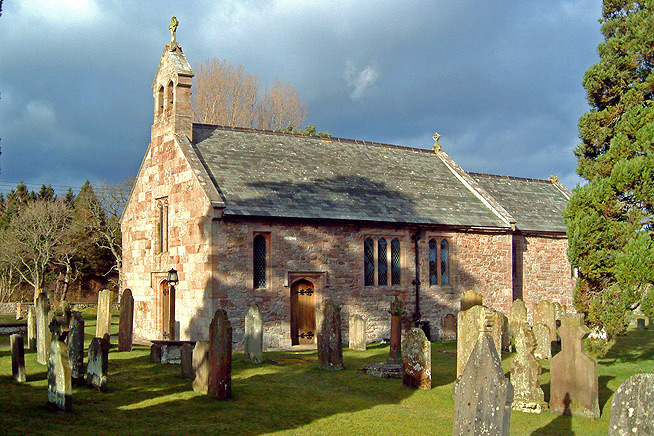 St James’ Church is still the ‘ecclesia in viridi prato’ – the ‘church in the green field’ described in a Papal return in 1291 – and one of the original churches in the Carlisle Diocese. Much of the church is 18th Century, renovated in the 19th Century by Anthony Salvin in a deceptively simple Arts and Crafts style. It contains a fragment of a Norse Cross going back to the time of the Norman Conquest, as well as a number of memorials to the Fletchers and Vanes. Many of those who lived and worked at Hutton are buried here. It has services three times a month, but is closed when not in use.